Britain and Canada’s first and only woman to have a worldwide Netflix special, Katherine Ryan brings her acclaimed, total sell-out 2017/18 nation-wide tour show GLITTER ROOM to the Garrick Theatre in London’s West End. Originally from Canada, now UK based, and star of Netflix’s KATHERINE RYAN: IN TROUBLE and Comedy Central’s ROAST BATTLE and YOUR FACE OR MINE, Katherine is a writer, performer and stand-up comedian who is dominating the television and live comedy scenes – both in the UK and abroad. Access description: Ramp up through double doors opening outwards into the Box Office. Box Office counter to the left. No steps through the foyer bar into the Dress Circle (1 step between rows). 24 steps down to the Stalls which has a fairly steep rake. 25 steps up then 8 down to the Upper Circle. Staircases have handrails on both sides. Auditorium opens 45mins before performance. Sound Amplification: Sennheiser infra-red system with 8 headsets. Please ask an usher for a headset. Guide Dogs: Guide dogs are welcome inside the auditorium or staff are happy to dog-sit. We can accomodate 2 dogs at a time. Dogs will be looked after in the manager’s office. Disabled Access: Ramp into foyer with level access to Dress Circle. 2 spaces for wheelchair users at E13-15. Transfer seating available to aisle seats for wheelchairs and scooters (4 transferees max). Wheelchairs Toilets: No steps to the women’s to the right of the foyer bar, through 2 doors (approx. 84cm wide). This is usable by someone able to leave their wheelchair with assistance. 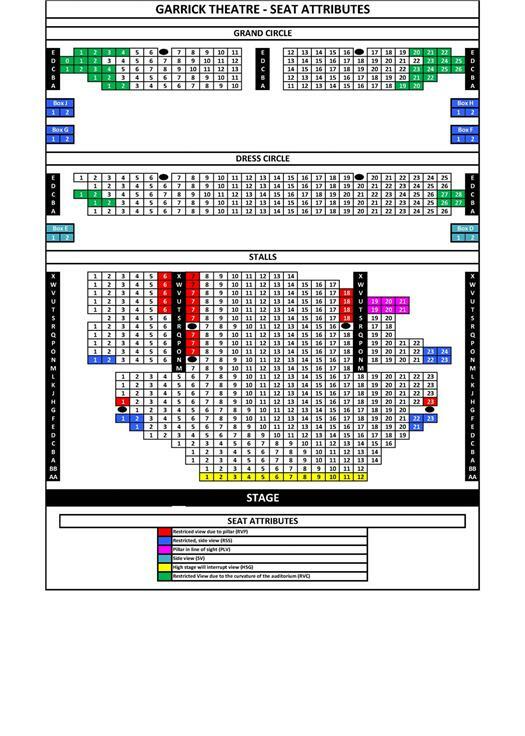 No steps up to women’s at rear of Stalls, 18 steps down to the men’s; further women’s and men’s at Upper Circle level.